Chalon is a litigator who assists clients in contracts disputes, contract and lease risk mitigation, employer/employee relations, collection-related matters, foreclosures, fraud, banking, partnership, real property, mortgage lending, construction and brokerage/securities issues. Chalon also represents clients in employment-related lawsuits, including claims related to discrimination, noncompete and theft of trade secrets. In addition, she has experience drafting employee handbooks, policies and codes of conduct. 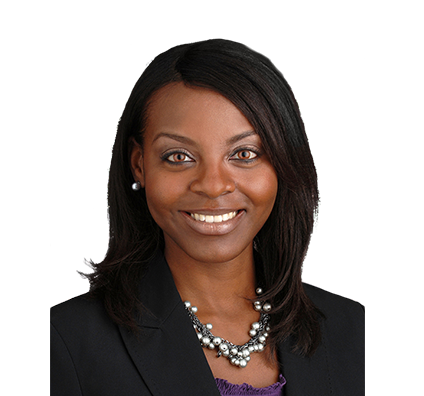 Chalon serves on the firm's Diversity Council. Secured $1.45 million jury verdict in accounting malpractice case claiming negligent misrepresentation on financial statements; affirmed on appeal. Avoided $7.5 million claim and class action certification, winning motion for summary judgment in federal court in case alleging tortious interference and violations of the Texas Optometry Act. The result was a take-nothing judgment for plaintiff. Avoided $2.3 million jury verdict on breach of fiduciary duty claim in partnership dispute. Disposed of more than 200 mortgage defense cases via summary judgment, including award of attorney fees, based on wrongful foreclosure, fraud and breach of contract.